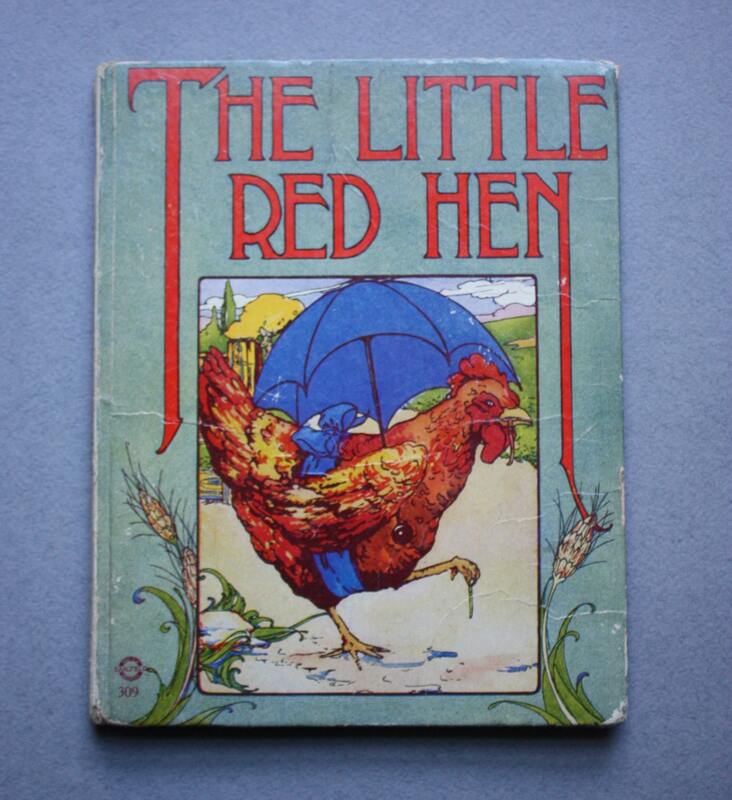 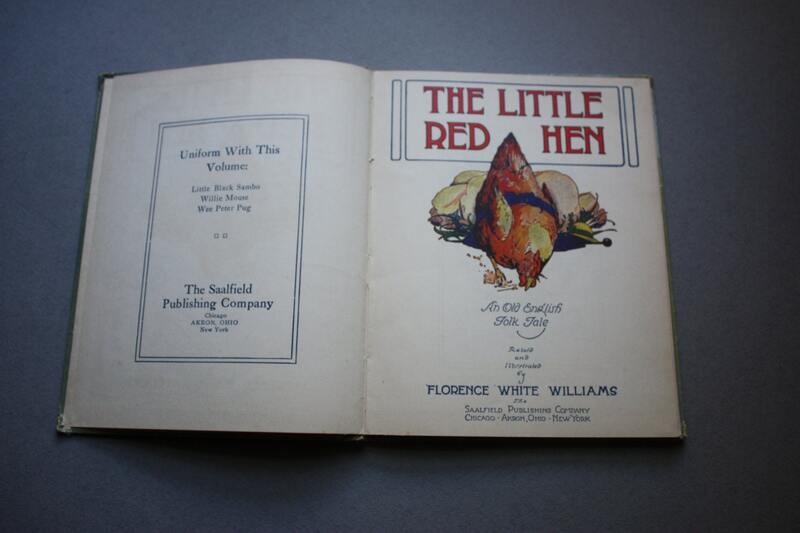 This 1918 publication by The Saalfield Publishing Company of The Little Red Hen, An Old English Folk Tale, was retold and illustrated by Florence White Williams. 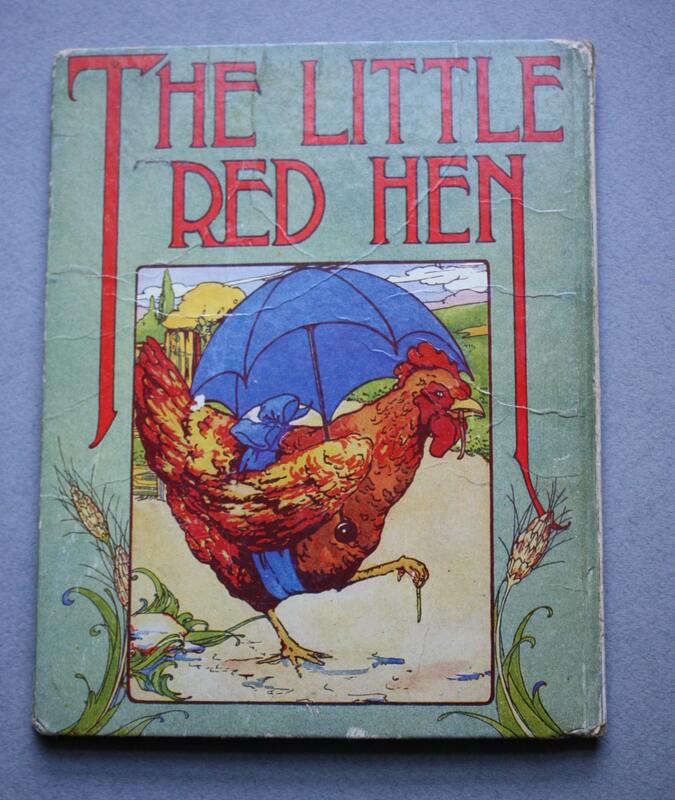 There is wear to the cover and spine and minor discoloration and creasing on several of the pages. 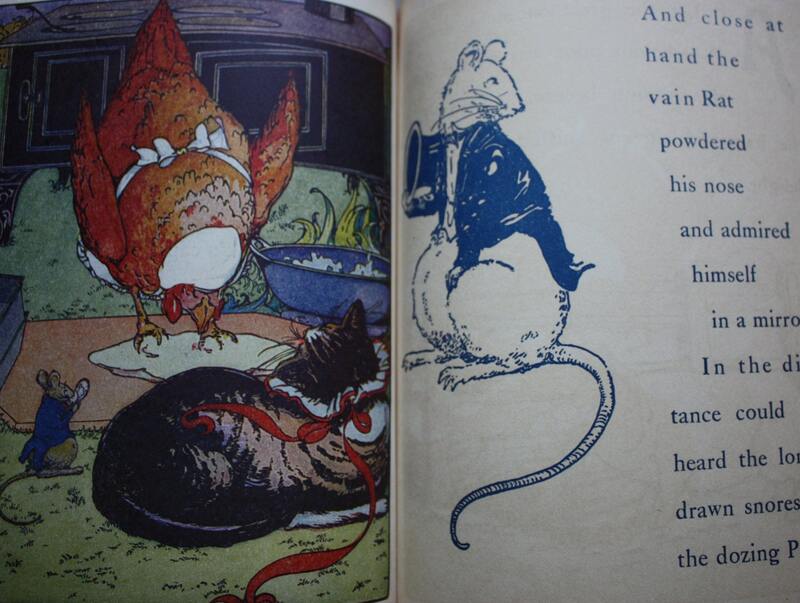 There are eight full color plates that have retained their color and blue and white illustrations as well as blue text rather than the usual black. 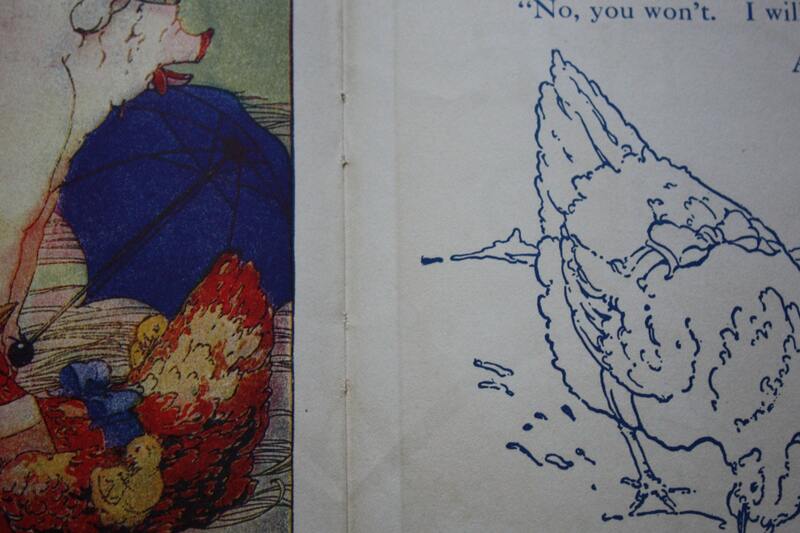 If you would like more photographs, please do let me know, and I'll be happy to oblige.